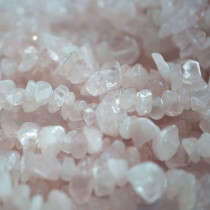 Rose Quartz has become the symbol of reconciliation in love because of the myth of Aphrodite, rushing to save Adonis who was being attacked by Ares in the form of a boar, caught herself on a briar bush. Their mingled blood stained the white quartz pink and Zeus took pity on them and restored Adonis to Aphrodite for six months of the year. 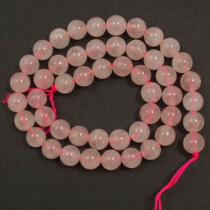 Said to be a stone of unconditional love and infinite peace. Gently draws off negative energy replacing it with loving. 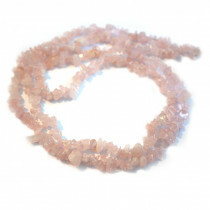 B-Grade Rose Quartz stone Round 4mm (~100pce Strand) - 40cm /16'" Strand. 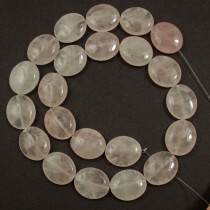 Rose Quartz stone Oval 15x18mm (22pce Strand) - 40cm /16'" Strand. 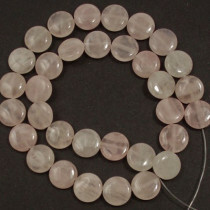 Rose Quartz stone Coin 12mm (33pce Strand) - 40cm /16'" Strand. 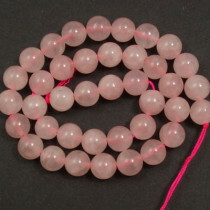 B-Grade Rose Quartz stone Round 10mm (~40pce Strand) - 40cm /16'" Strand. 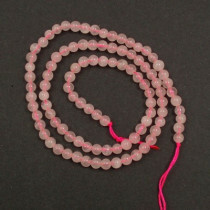 A/B+ Grade Rose Quartz stone Round 8mm (~50pce Strand) - 40cm /16'" Strand. 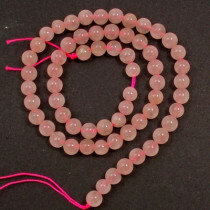 A/B+ Grade Rose Quartz stone Round 6mm (~66pce Strand) - 40cm /16'" Strand. 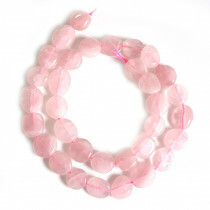 Rose Quartz Polished Flat Style Nugget Gemstone Beads approx 10x12mm (~34pce Strand) - 40cm /16'" Strand. 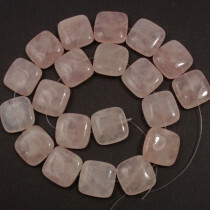 Rose Quartz Gemstone Chip Beads 5x8mm (~160pce Strand) - 91cm /36'" Strand.